Overview... an Exorcist, aiding God in a war for souls against Satan. After a demon attacked John right in the open on the street, he realized they'd broken through to our human plane. He’d be a prime target given his occupation, namely exorcising the souls of half-breeds – those close to possession but who still have a chance. When a half-breed breaks the rules, he deports them straight back to hell. He’s trying to buy his way into heaven. Personality... selfish and cynical, but trying to grow. He’s never had much faith; he’s never had much reason to. But that doesn't mean the other exorcists don't have faith in him. At the moment, John performs the exorcisms more for him than the subject – he’s trying to get into heaven himself – but he knows God sees right through it. If he’s going to make it to heaven on his merits, he needs some shred of selflessness. Maybe helping the mysterious Angela Dodson will motivate him to do just that. 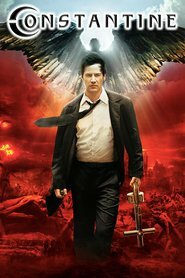 John Constantine's popularity ranking on CharacTour is #383 out of 5,000+ characters. See our top-ranked characters and read their profiles.